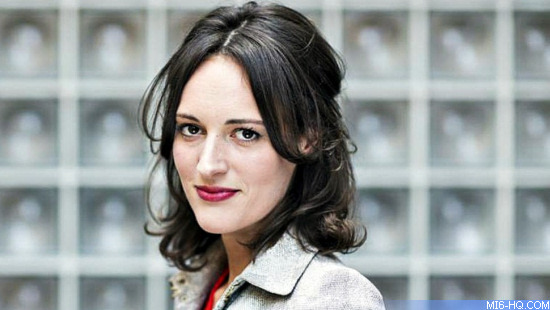 Phoebe Waller-Bridge has become the sixth writer (that we know of) to work on the script for the 25th James Bond film. The British actress, writer, playwright, and director - best known for 'Killing Eve' and Fleabag' - joins John Hodge, Neal Purvis & Robert Wade, Paul Haggis, and Scott Z. Burns in the line of scribes. According to reports, she was invited to help polish the Bond 25 script by Daniel Craig, who was in New York where she was performing her Broadway adaptation of 'Fleabag.' The Observer claims that she was brought on "to bring her wit and quirkiness to the screenplay." This conflicts with the account of The Playlist who claim Hodge's original Bond 25 script had issues with being "too humorous." The Daily Mail adds their usual 'spin' by claiming she was flown to New York to meet Daniel Craig, even though she was already there for weeks with her Broadway production. "Phoebe Waller-Bridge could write a Bond film," he said. "Her economy and her sense of danger and pushing boundaries in both 'Killing Eve' and 'Fleabag' is interesting. And she's currently doing a Broadway version of 'Fleabag,' which is co-produced by Barbara Broccoli. I'll just leave that one out there..."
The tabloids are adding some fanciful speculation to their coverage. The Daily Mail has this: "One plot being considered involves Craig’s ageing Bond retired and now living in Jamaica - the island where 007 author Ian Fleming had his Goldeneye retreat. The 007 number has been taken up by a new agent - a woman - who embarks on a mission which forces Bond to come out of retirement. Despite Bond’s legendary reputation as a womaniser, the new 007 manages to resist his charms." Phoebe Waller-Bridge will not be the first female with writing credits on a Bond film. Johanna Harwood received credits for both 'Dr. No' and 'From Russia With Love'. Other women have worked on Bond scripts uncredited through the years, including director Michael Apted's wife Dana Stevens on 'The World Is Not Enough'.